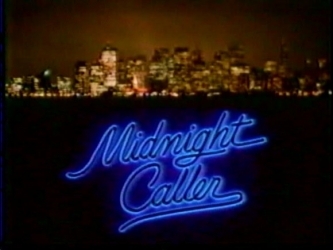 NBC's television show, Midnight Caller, was a drama about talk radio. One controversial episode of the series, called "After It Happened," was about a bisexual man who is murdered for deliberately infecting people with HIV. 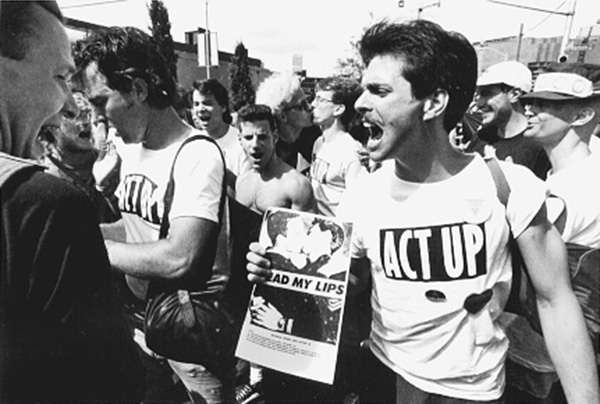 Today, October 20, in 1988, the activist group ACT UP shut down the show's production. In the show, talk radio host Jack Killian is approached by his ex-girlfriend, Tina Cassidy. She tells him that she has become pregnant and infected with HIV from a one-night stand. She wants Jack's help in finding the man so she can inform him of the pregnancy and her HIV status. Killian learns that the man, Mike Barnes, is aware of his HIV status and is deliberately infecting people. In his search for Barnes, Jack meets some of his other victims, including his partner Ross, whom Mike abandoned when Ross got sick, and Kelly West, another one-night stand. Unable to stop Mike legally from infecting people, Jack warns the city about him on his program. Mike confronts Jack about the broadcast but their argument is interrupted by Kelly, who pulls a gun on Mike. When "After It Happened" went into production in San Francisco in October 1988, the script originally ended with Kelly shooting Mike to death. This script was leaked to AIDS activist groups, who were outraged. They contended that the script as written increased the likelihood of vigilante violence against LGBT people and people with AIDS. Three groups took the lead in organizing protests: the San Francisco AIDS Foundation; ACT UP San Francisco; and Mobilization Against AIDS. About 60 ACT UP demonstrators shut down outdoor filming by chanting, blowing whistles, and disabling lighting equipment. This was the first time that a gay-related protest caused a production to be suspended since the 1979 protests against the film, Cruising, in New York City. Midnight Caller production company, Lorimar Television, agreed to alter the script. The ending was changed so that Kelly would still kill Mike, but would be shown being arrested. Activists still considered this unacceptable and swore to continue disrupting the filming. Lorimar obtained temporary restraining orders against two of the protest groups on October 24, requiring them to stay at least 100 feet away from filming; the activists promptly announced that they would ignore the orders. Demonstrators shut down production again on October 25. It was announced that day that the ending would be changed again, to eliminate Mike's killing entirely. Some additional changes were made, such as including a scene in which the bartender at a gay bar denounces Mike's behaviour as "irresponsible", but Lorimar refused to meet another demand, that Mike be unaware of his HIV status. Lorimar executive Leslie Moonves denied that the changes were politically motivated, saying simply "we were concerned about being responsible." On the night of the broadcast, between 200 and 300 demonstrators organized by ACT UP San Francisco picketed San Francisco's then-NBC affiliate, KRON, demanding that the station not air the episode. Around 150 people occupied the lobby and 10 who refused to leave were arrested. Midnight Caller revisited the subject of AIDS in season two with the episode "Someone to Love," with Tina, near death, returning to Jack. Stephen Zito, who wrote "After It Happened" also wrote the script for this episode. Now having a better idea of the politics of AIDS in San Francisco, Zito met with some of the groups who had protested the original episode and members of a support group for women with AIDS; he spent 5 months writing. Guest star Kay Lenz, reprising her role as Tina, also met with the support group. The support group idea was incorporated into the episode, with other women infected by Mike Barnes forming one and going on Killian's show. Much of what they said was taken directly from the group with whom Zito and Lenz met. The San Francisco AIDS Foundation praised the script, calling it "an extremely accurate and honest portrayal" that illustrated the issues faced by people with AIDS.